"I know how stressful moving your fitness business can be as a trainer - but moving to Cap Hill was a no brainer! Easy parking for clients, no gym drama, great rates and a very 'private / exclusive' feel to the place!" ​"I’ve worked in the sport and fitness industry for the last fifteen years, and enjoyed training clients at Capitol Hill over the last six. Peter and Jaime have built up a well-equipped, fully-functioning neighbourhood gym for trainers in one-on-one, small group, classes, fitness, rehabilitation, and sport programs. They’re always open to maintaining and innovating the space to support trainers developing businesses in the industry. On a day to day basis, Peter leads a pleasant professional atmosphere where clients look forward to come and workout." "Great location! Bright, open space with plenty of equipment." "Always good vibes and positive trainers at cap hill! A motivating and welcoming place to work and train !" ​"I’ve grown my business over the last 5 years at cap hill. I’ve been in the fitness industry for 10 years and cap hill has been the BEST experience. The facility itself is clean, always getting updated with equipment, Pete and Jaime are always open to requests they add value to the studio/trainers and our clients. We offer Fascial Stretch Therapy now in the studio as well which has been a great success – thanks Caphill!" ​"I've been training my clients part time out of Capital Hill Athletics since Pete and Jaime opened the gym. It been a great experience for me. The gym is always very clean and tidy. Everyone is very friendly, the atmosphere is fun, and all trainers work well together and respect the space. They are very welcoming to everyone who walks in the door, always a hello and a goodbye. Conversations are easy and genuine, makes for a great place to train for everyone." “Capitol Hill is like a second home for me and my clients. Everyday Pete and Jaime bring in positive energy that is combined with positive attitude and professionalism towards the trainers and their clients. CapHill is a fully equipped facility to accommodate every trainers program and client needs”. 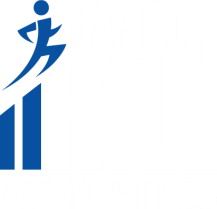 I" have been training out of Capital Hill Athletics now for over 6 months. This is a perfect personal training studio for independent personal trainers like myself. The gym has a clean, simple and positive environment. The trainers are all very personable and each have an unique style of training. Pete is very welcoming and is always eager to improve the facility."